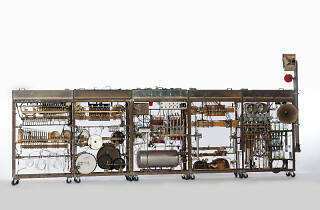 Catalan band CaboSanRoque presents an anthology of machines and instruments they have created over the past 14 years. The exhibition shuns the attempt to define or explain CaboSanRoque through their work in areas such as performing arts and music, but rather focuses exclusively on their collection of sounds and sonic artifacts they produce. 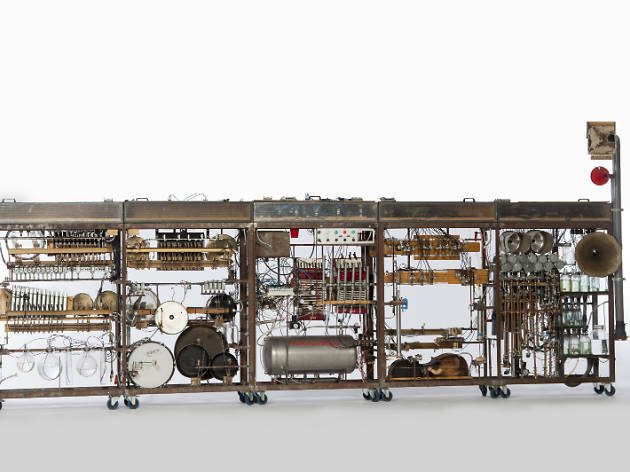 In this exhibition, the band gives over the spotlight to their tools, sound collages of objects presented here detached from the works for which they were created.